It's being called "Pakistan's Oscar," but 33-year-old filmmaker Sharmeen Obaid-Chinoy will be the one bringing the award home. The Karachi native's latest film, "Saving Face," which chronicles the lives of acid attacks victims in Pakistan and the doctor working to help them, made history Sunday night at the 84th Academy Awards by winning Pakistan's first Oscar ever. The film was co-directed by American filmmaker Daniel Junge, and will air on HBO on March 8th. Obaid-Chinoy accepted the award for Documentary Short Subject on stage and dedicated it to "all the women in Pakistan who are working for change – don't give up on your dreams." 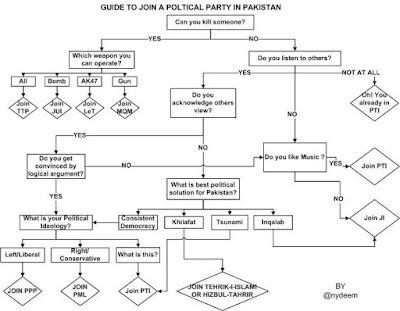 Understanding Political Parties of Pakistan ! Indonesia’s deputy foreign minister, Wardana, said the Independent Permanent Human Rights Commission of the OIC was expected to bridge the growing divide between the Muslim world and the West on the issue of human rights. “Our hope is that this commission will be the engine that drives the reform process to transform the OIC into an organization that can effectively address the challenges facing the Muslim world,” he said. As Pakistan's political crisis deepens, Anwar Akhtar, an expert in south Asian politics and culture, looks at everyday life in the tumultous country - and picks his top ten observations. 1 - Pakistan is not poor, despite the best efforts of some of the people running this country to make it so. It takes five hours to drive from Multan to Lahore, another four to then go to Islamabad, as far as the eye can see are the lush fields of the fertile Punjab agriculture belt, full of wheat, cotton, sugar cane, mangoes, and more citrus fruit then I can list. There are massive opportunities for wider agricultural diversity and investment - Pakistan could be self-sufficient in food production but instead millions live in poverty, whilst feudal landlords export food on a mass scale to the Arab Gulf States. Pakistan: Choosing Between Democracy and Dictatorship ? The high stakes struggle for power between the civilian, military and intelligence institutions in Pakistan has significant implications for the future of US-Pakistani relations. CNP President Scott Bates and a panel of experts discussed what the constitutional crisis in Pakistan means for the war in Afghanistan, regional stability, nuclear security and the struggle against Al Qaeda.